“Are you making beef with broccoli?” she asked, sounding equal parts amazed and teasing. The thing is, I wasn’t making beef with broccoli. I wasn’t sure what I was making, though. We’d both worked late, and she was feeling in the mood for something bland, so she was heating a bowl of mashed potatoes to have with butter, salt, and pepper. I was foraging. I’d found a little piece of rare beef and some rice; the latter, topped with a damp paper towel, would go into the microwave when her potatoes were done. The rice wouldn’t be as good as it had been when freshly cooked, but far from terrible. I figured I’d thinly slice the steak and sauté it quickly in a little olive oil, slice a few grape tomatoes and toss those into the pan, too, and then pour it all over the reheated rice. Maybe add a little salsa. Maybe grate some cheese over the top. It could be vaguely Tex-Mex. It was sort of a plan, but not quite. There wasn’t anything green, though, and I think dinner should almost always include something green. But I didn’t feel like assembling a salad. There were some broccoli florets, though. They got a quick steaming along with the rice, then went into the hot pan to brown on their tips, along with a generous splash of teriyaki sauce and a dab of minced garlic. Everything topped the rice, and the lot was garnished with a sprinkle of sesame seeds. She thawed the cream and put it in the tightly-lidded jar, then danced about the kitchen, singing and shaking her jar of cream like a maraca. After a couple of minutes, she stopped, disappointed that her jar wasn’t really well-suited for churning butter or adding percussion to a vocal arrangement. She poured the only-barely-clotted milk into the bowl of her Kitchen Aid mixer, and sent it to whisk. 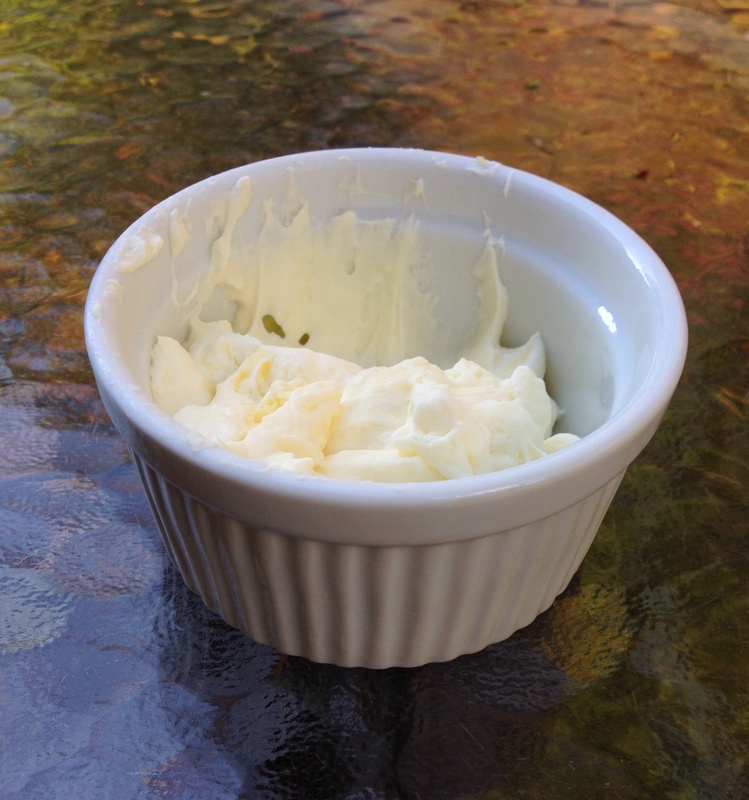 8 minutes or so later, she had a ramekin of soft, lovely butter. I don’t think we’ll give up buying it in sticks from the grocery, but it’s nice to know that it’s an option. Yes, and would you pass me the soy sauce? Yes, and we have cream and a powerful mixer, and we can give ourselves a science lesson. Yes, and we can stack one mattress on top of another, and put a pea under the bottom one to see if we can feel it! You can call it improvisation, and the result is sometimes funny, but really, it’s just two people being as creative and generous and kind as they know how. And a little bit more. I’m going to be a contestant on a game show tonight–a live theatre presentation, not the TV kind. The object for me and my partner–my partner whom I’ve never met, of course–will be to write a song on a randomly assigned topic, in a randomly selected musical style. For a musical. In twenty minutes. You might think, “Well, they did that in real time on TV,” but the music on Whose Line is it Anyway? was pre-determined. Also, those comedians weren’t writing for musical theatre characters, or being judged by writers and directors. I’m a little nervous about this event–about not finishing on time, or that the style won’t be one I’m comfortable with, or that our song won’t be as funny as the other team’s. (Though “funny” isn’t one of the prerequisites, it’s probably better in a game like this to be funny than heartfelt). I don’t mind losing, but I want to do well. Fortunately, I have lots of improvisational experience on which to draw. And, win or lose, she’ll be in the audience, and we’ll have dinner after the show, and then go home to a very tall bed. Victory could not not be sweeter than knowing that.